Last night Ben and I picked up two gyros, greek fries and baklava and headed down in the warm first night of summer to eat on the Old Town dock. We sat looking out at the sun setting on the glimmering water, watched the trains go by, and saw a proposal too! It was a gorgeous night and I think it kicked off our last three weeks here (and actually we'll only both be around for about two of them - next week and the second week of July). 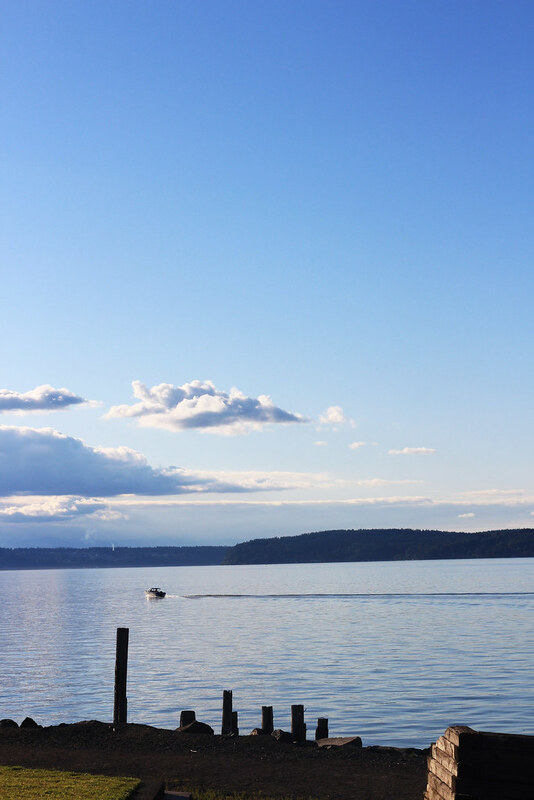 I'm going to miss the beautiful Puget Sound more than anything. These are views you cannot beat. 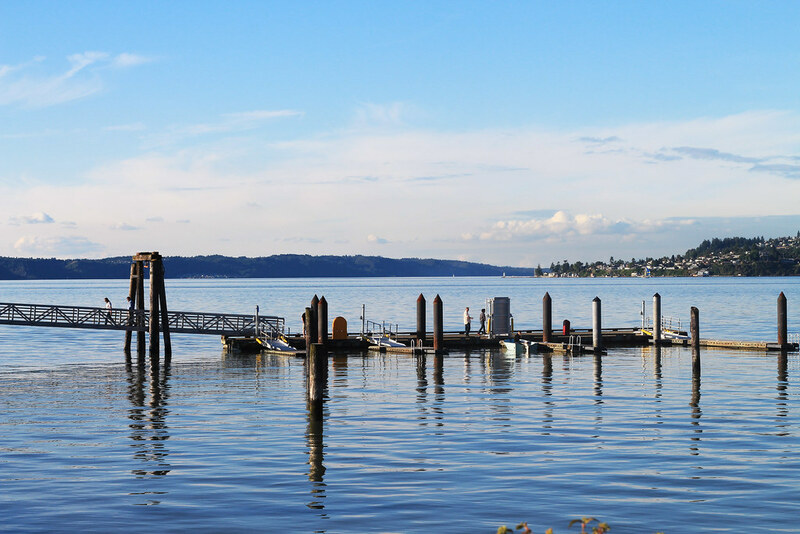 We then took a drive down the waterfront and up around the five-mile loop drive that goes around the edge of Point Defiance park. 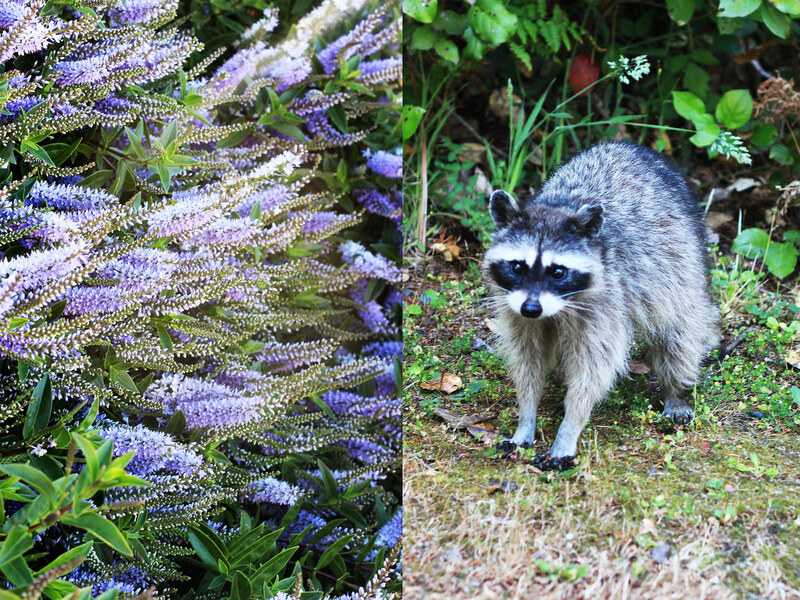 The raccoons were out en masse and we snapped a few photos of them as well! This morning we woke up early to drop friends off at the bus station and I've been up ever since editing photos and watching the sun get higher in the sky. It's already a gorgeous summer day and we're headed down the street to a blues and brews block party that runs from one to ten p.m. I'm hoping we're not in it for that long, but I'm sure the boys will be tasting as long as they can. The main draw (other than the beer) is that it's within walking distance of our apartment and we're going with another couple that live in our building so we can safely make it to and fro without worrying about taxis. Have a great Saturday! Linking up with Sunday Style. Love this post!!! Such a great outfit!!! Fab look, love the blazer! I love this outfit so much, the blazer is adorable and those jeans are perfect! such amazing pictures honey! you look absolutely stunning:) those shoes are awesome - would totally wear them! have a lovely sunday and lots of love from Zurich! I love this blazer and shoe combo! Your outfit is so chic! I love it all! YOUR SHOES ARE CRAZY PRETTY!!! I WOULD HAVE NEVER THOUGHT OF COMBINING THEM WITH A STRIPED BLAZER BUT IT SEEMS TO WORK REALLY GREAT HERE. LOVE THE OUTFIT....VERY CASUAL AND CHIC AT THE SAME TIME. BY THE WAY DID I MENTION THAT YOUR SHOES ARE TO DIE FOR!!!! I have yet to try out Paige Denim but those look perfect, from the color and cut! Love your blazer! Perfect for summer! 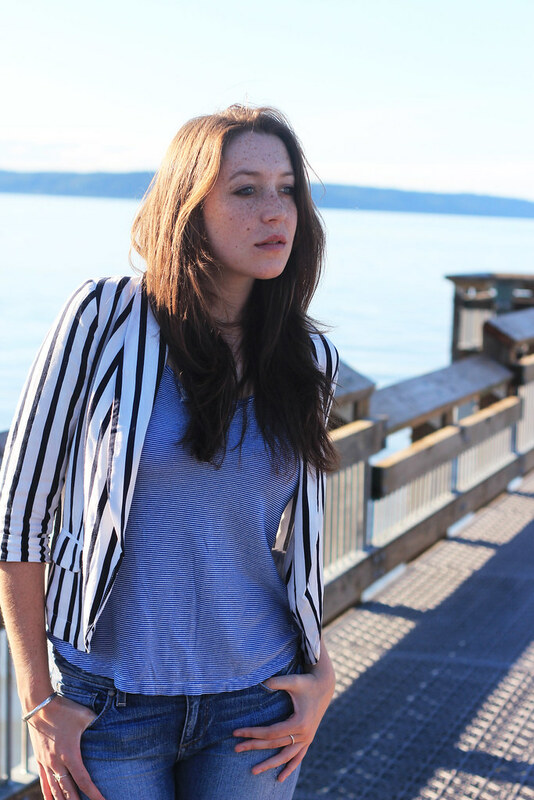 That striped blazer is so, so cute! Love this striped blazer and these amazing shoes!! You look gorgeous!! Hope you are having a wonderful day! love your blazer! also, gyros sound so good right now! Totally in love with this outfit on you! That blazer is amazing! Love love love love love (times five billlllion) this blazer! LOVE this outfit from head to toe. Your shoes are totally darling! Love the striped blazer - gorgeous! And that scenery is breathtaking! The brews and blues block party sounds like so much fun! And you look phenomenal! I love that blazer! Oh I love having dinner by the sea! That's where I spend most of my summer. I'm loving those heels! Found you via Jenny's Sunday Style, and I fell in love with your casual, chic style! 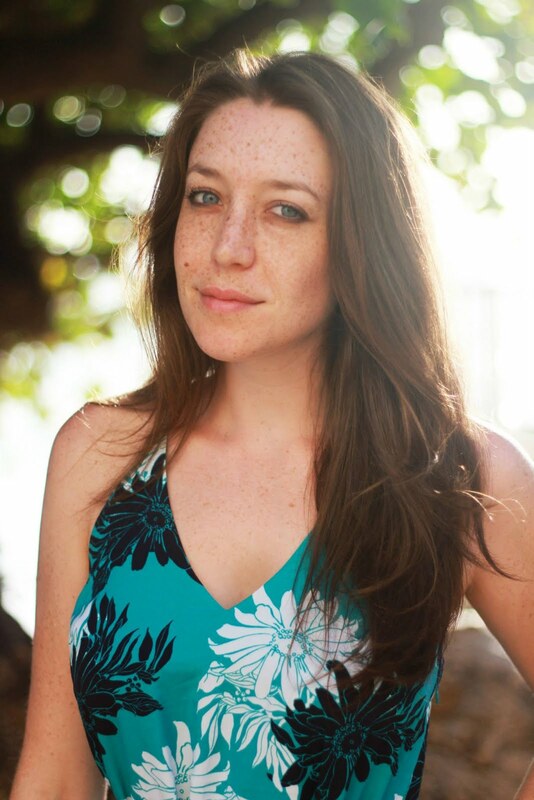 Newest follower via Bloglovin'! Happy Sunday! I found your post on Sunday Style over at Plane Pretty and I fell in love! That striped blazer is just perfect! I love the striped blazer but at the same time I could not take my eyes off of your jeans. The fit is amazing!